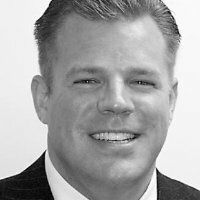 Tom Wright, our Rochester QuickBooks ProAdvisor and partner at Provvidenza & Wright, is a knowledgeable QuickBooks expert who can provide the guidance you need to increase the efficiencies in your work flow processes, grow your sales, and improve your bottom line. If sales are down, profits are lower than expected, your accounting system is not providing the information you need, or you feel as though you are working far too much for the money you make, TOM CAN HELP. Provvidenza & Wright provides innovative solutions to common, yet costly problems at a price you can afford. QuickBooks is user friendly once it has been set up CORRECTLY, customized for your unique business needs AND you have been properly trained on how to use the software. Many business owners make the mistake of trying to set it up on their own, as they fail to realize a fully optimized setup requires in-depth knowledge of accounting principles. The majority of errors in QuickBooks are directly related to a mistake made during the initial setup. If you have not yet installed the software, we highly recommend you involve Tom and his team so they can guide you through the process. If you are currently using QuickBooks, but are uncertain that you are using it in the correct manner, Tom can conduct a review of your current setup and recommend changes to optimize your results. QuickBooks training is a necessary investment if you plan to optimize the efficiencies of your accounting system and learn how to use your financial data to grow your company. Whether you are new to QuickBooks or have been using the program a long time, it important to stay current on new updates and features introduced each year. Proper use of the POWERFUL business tools within QuickBooks means you can effectively create budgets, financial forecasts, cash flow projections, monitor product movement and inventory, and more. QuickBooks training will teach you and your staff to create and use custom reports to generate critical information in the format you want, allowing you to make wise business decisions. Attend one of PROVVIDENZA & WRIGHT’s QuickBooks Seminars. Topics include both introductory and advanced training, as well as QuickBooks Online, Enterprise Solutions, Payroll, Point of Sale and other QuickBooks products. Schedule QuickBooks training at your business using your software. Call Tom and his team for remote access troubleshooting or training. If you are not certain what training you need, Tom will conduct an assessment of how you currently use QuickBooks and will advise you on the training option that best fits the needs of your business. Provvidenza & Wright provides services far beyond the scope of bookkeeping and accounting. Tom’s team provides a comprehensive 1-Day Business Analysis that allows you to take the first step in identifying weaknesses that are preventing your company from achieving great results. Following a thorough analysis and findings presentation, the PROVVIDENZA & WRIGHT business analyst will recommend specific solutions, called Projects. They are customized to fit your needs, and are based on proven methods that integrate sound management controls, organizational structure and innovative business strategies. Our Rochester QuickBooks ProAdvisor, Tom Wright, has over 20 years of experience. He understands what is important to business owners and support staff needs. He is a certified New York State CPE instructor that has the ability to train and teach what is important from the basics to advanced topics. Provvidenza & Wright are thought leaders that develop solutions to build your continued success. QBExpress is proud to have Tom and Provvidenza & Wright as our Rochester QuickBooks support solution.